New riders looking to purchase a bike can find it a little confusing deciding which type of bike to go for. Both types of bikes are designed to be ridden on pavement or off-road. The main difference is where each is more comfortable. So what are the differences between Dual Sport and Adventure Bikes? Adventure bikes are only comfortable on the milder off-road trails because of their heavier weight but are well suited to long road rides. Adventure motorcycle touring is becoming increasingly popular. 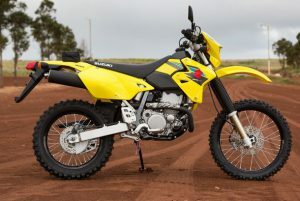 Dual Sport bikes, on the other hand, have an evolution that comes from dirt riding, are lighter, only barely street legal and offer very little comfort on the long road trips. 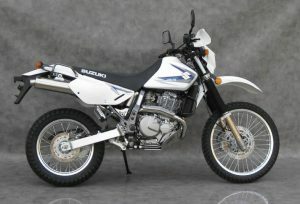 The Suzuki DR-Z400 is one of the most durable Dual Sport bikes available. The bulletproof design has not changed much over the years. It is very comfortable on both road and trail. The Suzuki DR650 is an in-between sort of bike. 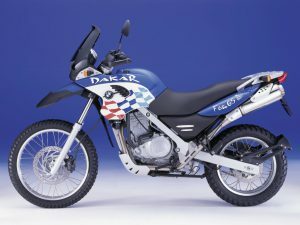 It is at the heavy end of Dual Sport bikes, and the light end of Adventure Bikes. It can still handle fairly technical trails but can be kitted out with a luggage system, windscreen, and larger tank to make an excellent lightweight Adventure Bike. Lighter weight means easier to pick up after a fall. Street legal so can be ridden to and from trails. No windscreen and minimal body parts mean less damage after a fall. Built to withstand impacts from rocks, trees etc. Narrower, lighter design allows for more maneuverability on tight trails. The smaller engine displacement means they are not very well suited for long periods on the road at top speed. The motocross style seat is hard and not very comfortable for long road stretches. Knobbly tires are not well suited for the road, offer little grip in the wet, and wear down very fast on road. 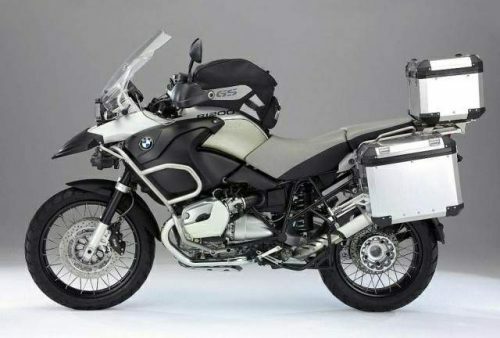 The BMW F650GS is a good example of a single cylinder Adventure Bike at the lighter end of the range. Suitable for a first Adventure Bike. Good on the road, but light enough to handle some more technical trails. The BMW R1200GS is a twin cylinder Adventure Bike more suited to the road and smooth forestry type trails. It is certainly one of the best Adventure Bikes available, more suited to experienced riders. The luggage system allows you to carry the gear required for adventure motorcycle camping. The larger twin cylinder engines better suited to long stretches at higher speeds. Higher gear ratio allows you to cruise at highway speeds. The luggage system allows you to carry more gear so that you can camp overnight and cover greater distances. More street suited tires give you better braking and highway safety. The biggest disadvantage is the weight, making them harder to handle off-road, and more difficult to pick up after a fall. More susceptible to damage in a crash because of the extra body features, and therefore more expensive to fix. The added complexity makes them more difficult for the rider to fix in remote areas. The riders body position is more limited because of the windscreen, larger seat and luggage racks. Ultimately it depends on you. Intended Use: The type of riding you will do. More on road or off-road? What type of trails will you ride? How long will your rides be? Your body type: Are you able to lift the heavier adventure bike? Are you able to repair a more complex bike? To make things even more interesting, we have the Enduro bike. The Enduro bike and the Dual Sport bike are in the same bloodline. The Enduro bike is basically a motocross bike with minimal lights and requirements to make it road registerable. The Enduro bike is designed for competition and is totally at home with the most technical terrain you can find. It is not very comfortable on the road, even though they can be bought road registered. 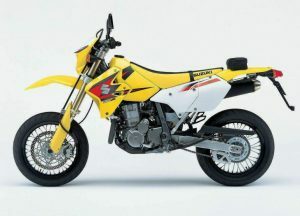 The Supermoto bike is a street conversion from either a Dual Sport or Enduro bike. The biggest difference being the wheels and tires. They are smaller in diameter, usually 17″ and the tires are thicker and only suited for the road. The brakes are also beefed up with larger discs to street bike performance. The Enduro bike conversion is generally used for competition on road racing tracks. Because of its dirt heritage, the technique is to slide the bike around the turns speedway style. 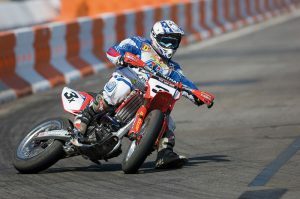 Supermoto or Supermotard racing is the child of motocross and a road racing. 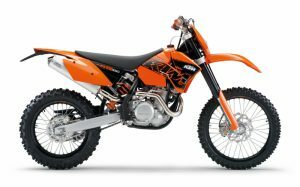 Two-Stroke or Four-Stroke Dirt Bike – Which Is Best For You? If you have any questions about the decision to go Dual Sport or Adventure bike, please leave a message in the comments section below. The world of trail riding has a whole new meaning from back in the days of my trail riding adventures. These bikes offer so much more in power and comfort than the bikes I am accustomed to. I use to ride a Suzuki 185 Enduro which was a street legal bike made for the trails. It was heavy compared to the trial bikes that use to run circles around me. I like the examples that you have included in this review. They are so much more than I ever thought possible in an off-road bike. Hi Ken. Thanks for your comments. Funny you mentioned the Suzuki 185. I had a TS185 in the late 70’s. A great bike in their day. Back then if you wanted a really good bike you had to build one. Nowadays they are so good you can just ride them standard, the handling is superb. Very informative. Well broken down. This cleared up a few misunderstanding that I had. Hi Jason. Thanks for your comments. I don’t know if you have ever ridden motorcycles, but the technology has come so far over the years, and there are so many great bikes to choose from. I thought a post about this would be useful. I love the bike riding world. Such a fun activity and cool sport. I personally like the Enduro bike. Seems like it would be my fit. It seems more flexible and I like that it’s a motocross and of course can be road-registered too. Thanks for the informative post. Hi Rob. Thanks for your comments. The enduro bike is my choice too. 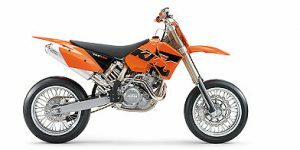 I ride a KTM 525 EXC. It’s very light, powerful and can handle any terrain, but not very comfortable on long road rides of more than about an hour. Very hard seat.